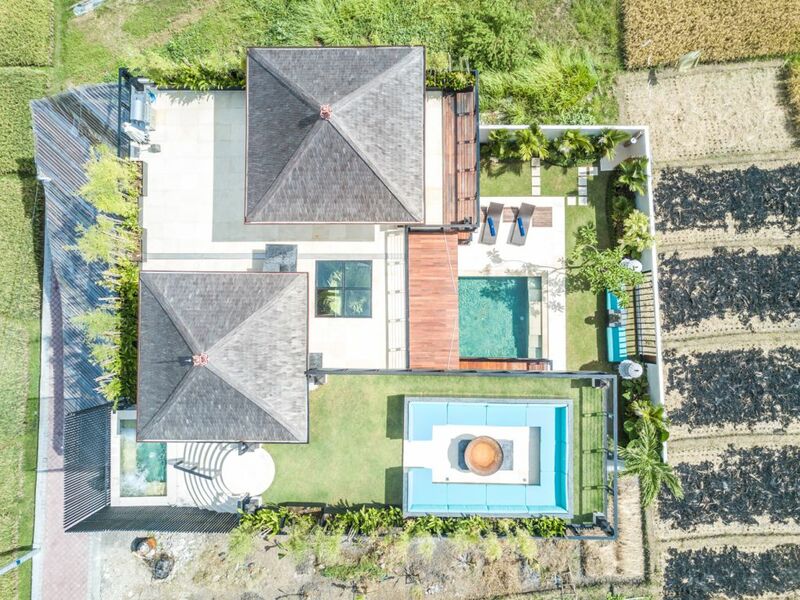 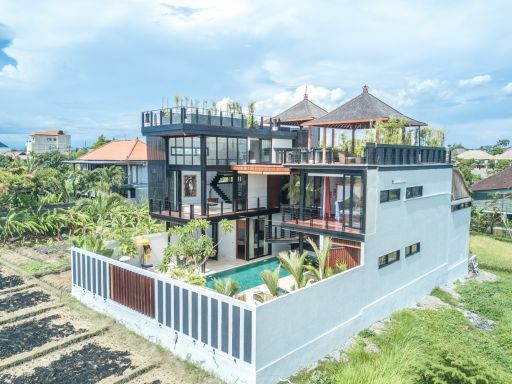 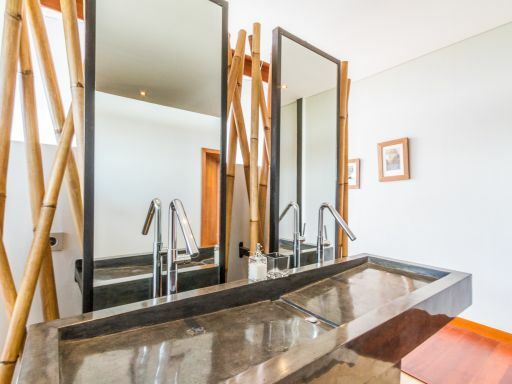 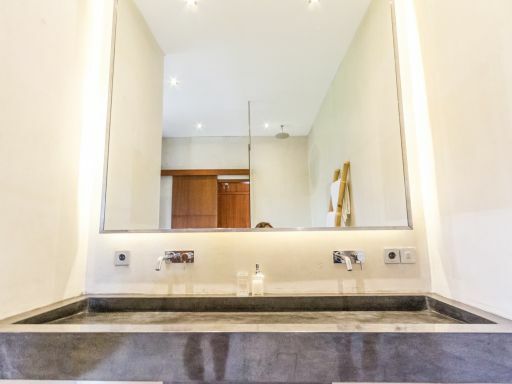 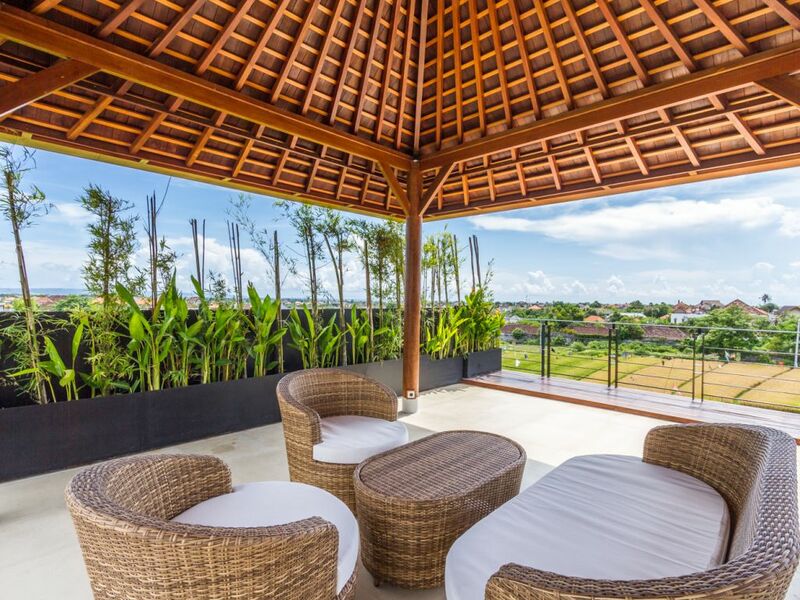 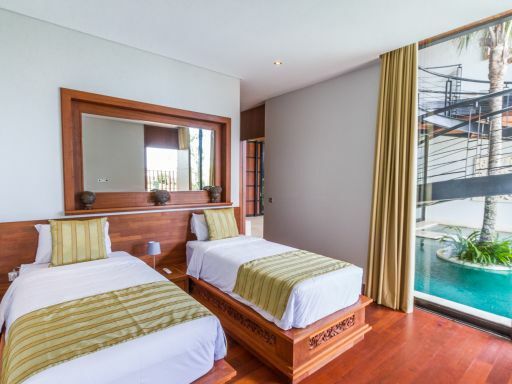 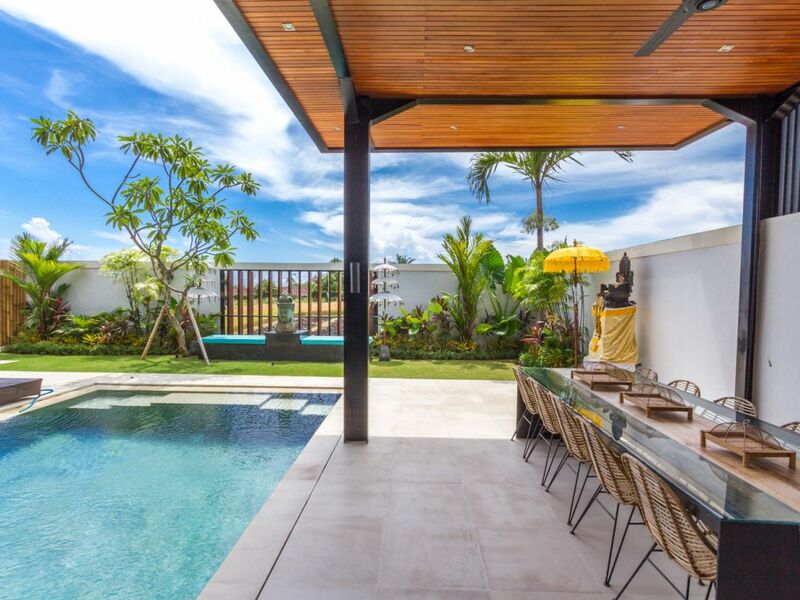 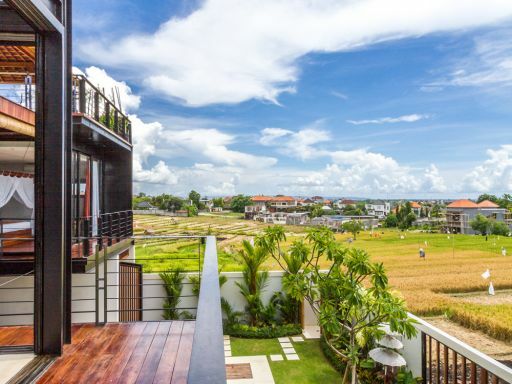 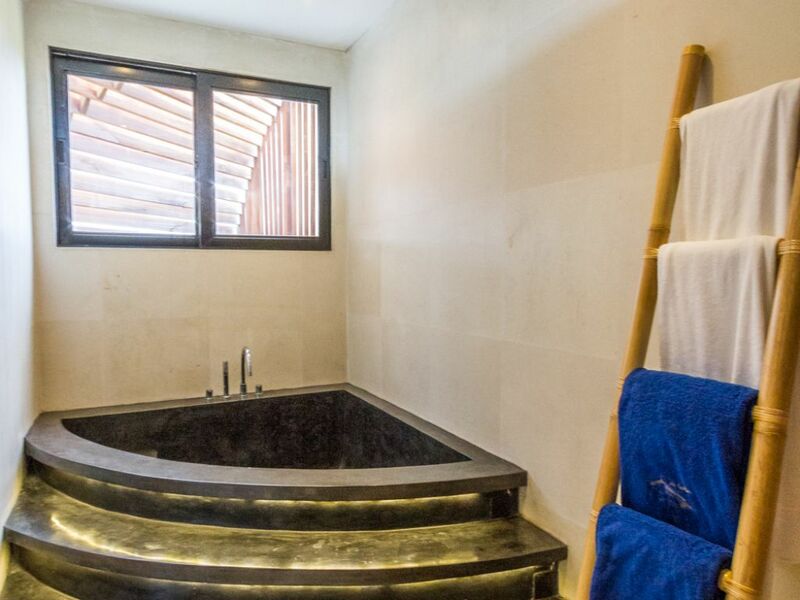 Complete privacy, total relaxation and the 360 degrees magnificent views overlooking ocean, mountains and rice paddies make this Villa something impressively special. 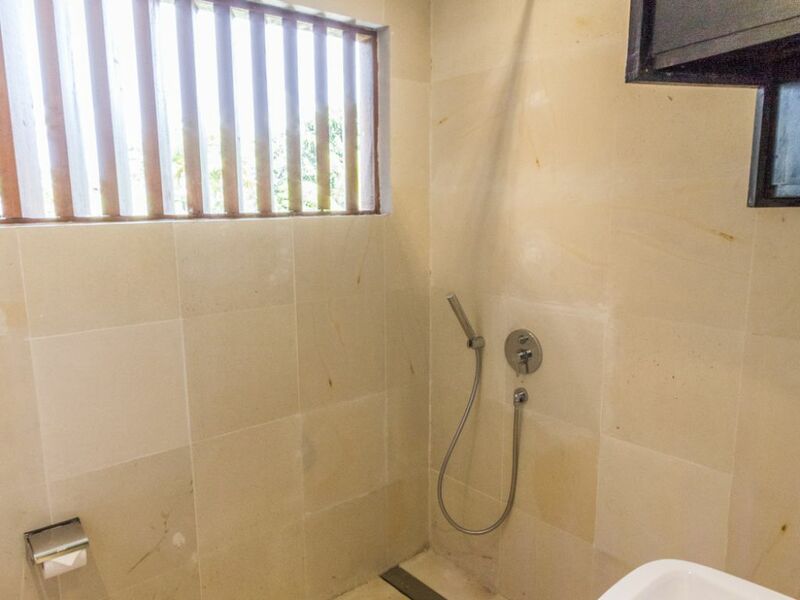 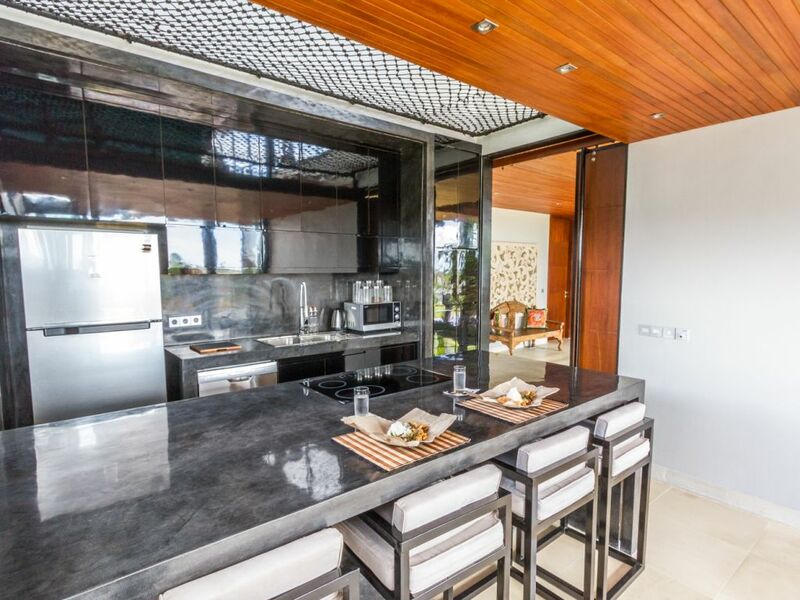 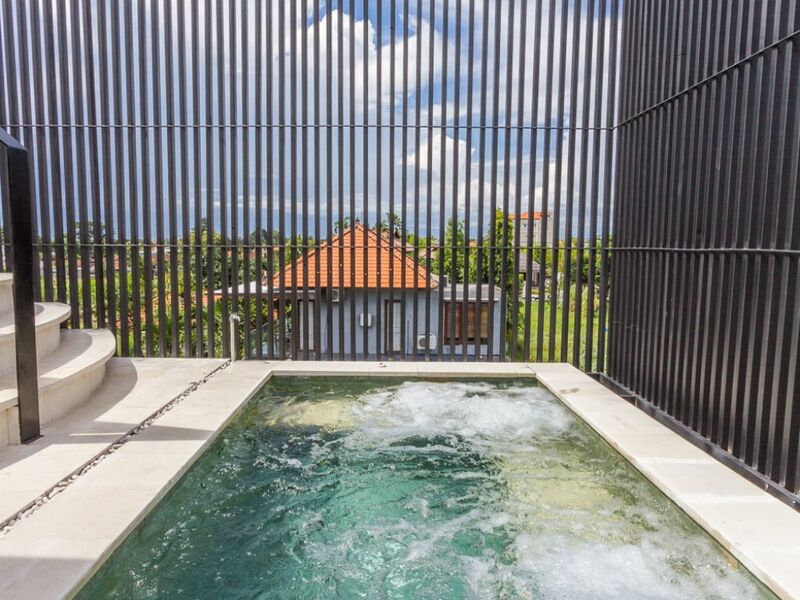 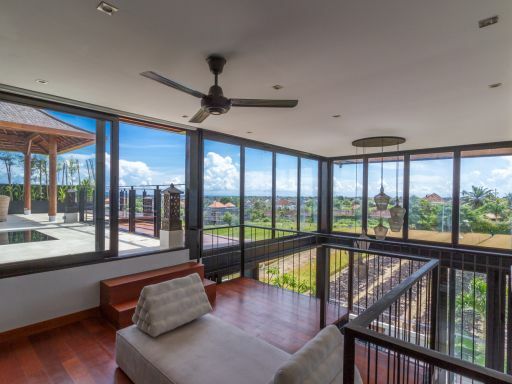 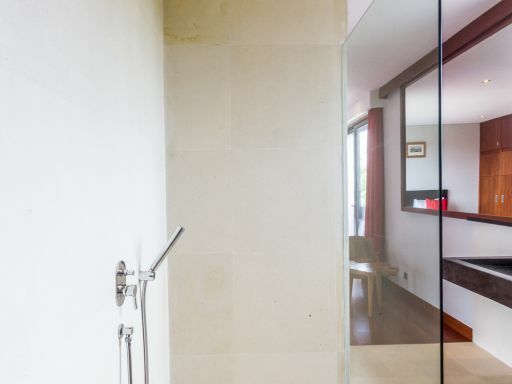 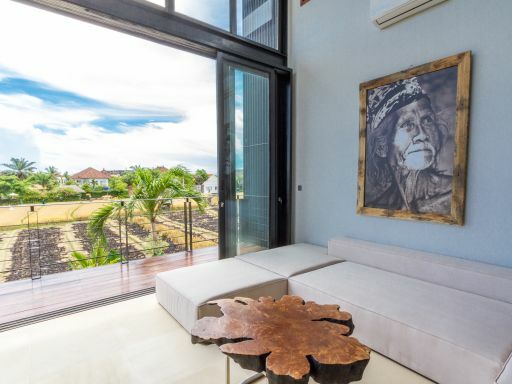 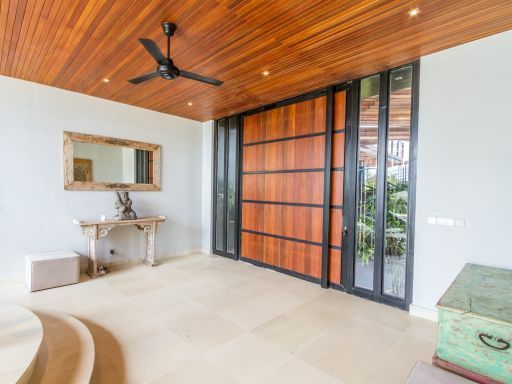 Built and furnished at the highest of standards the concept mix high technology and natural elements (limestone, metal, glass, wood) with the high ceillings and smoothly adjusted large windows provides you with top air circulation in the tropical Bali climate. 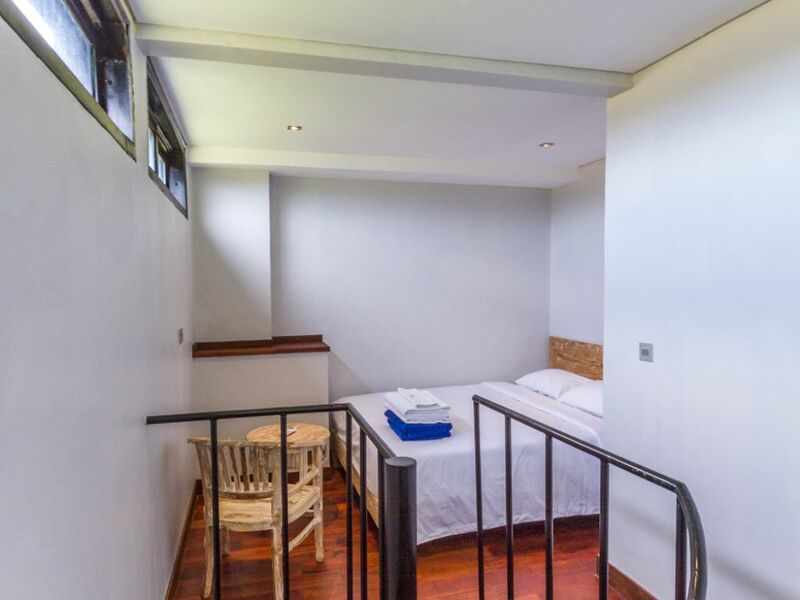 The first floor features an independently designed bedroom with mezzanine and en-suite bathroom, perfect for a teenager or the lucky maid. Facing the impressive main door built with noble wood, you will enter in the heart of the Villa. 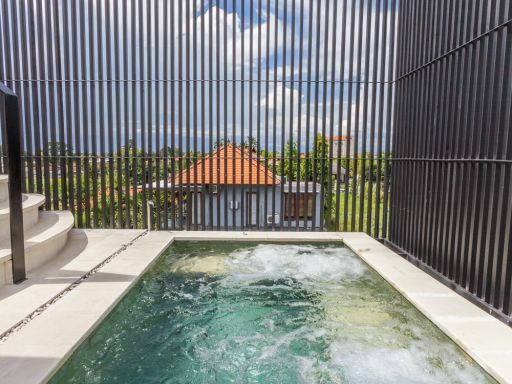 Once inside you are presented with the impressive L shape swimming pool (15x4m.) 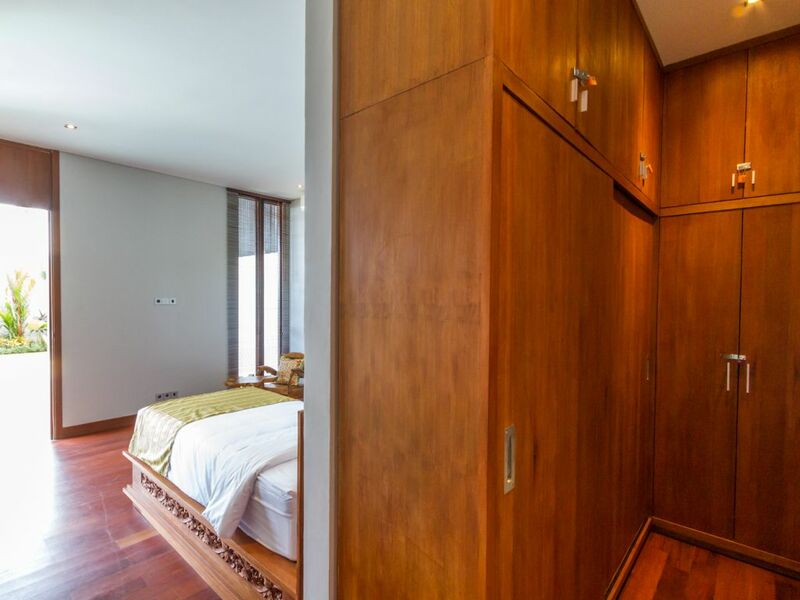 and access to 2 other bedrooms each with their own en-suites bathrooms. 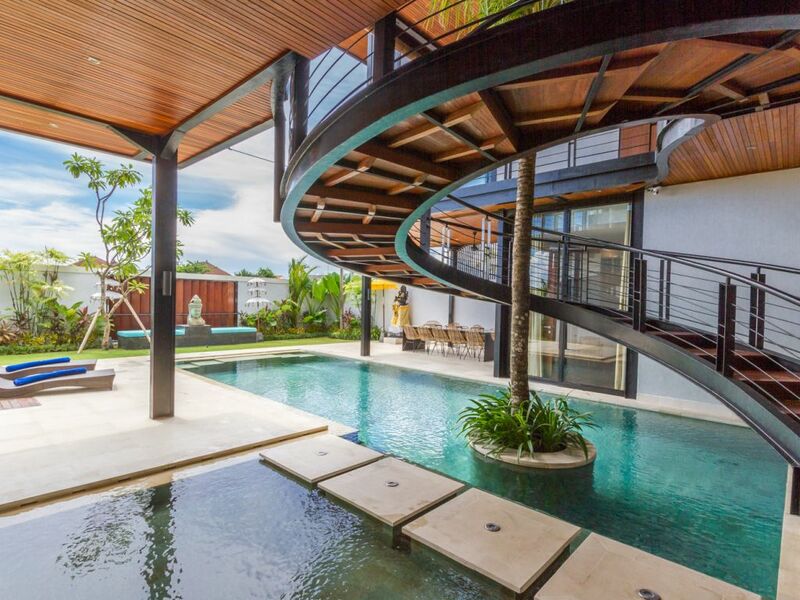 A unique central designer stair above the pool offers access to the 2nd and 3rd floors. 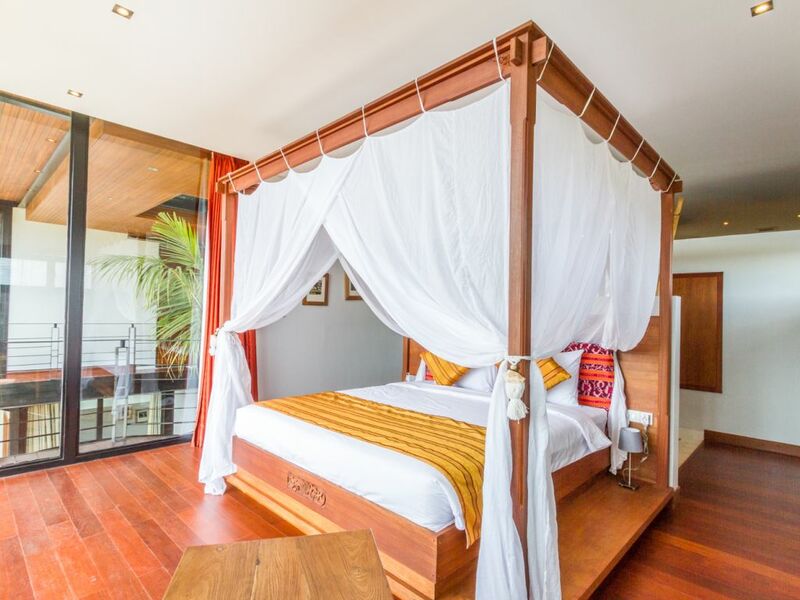 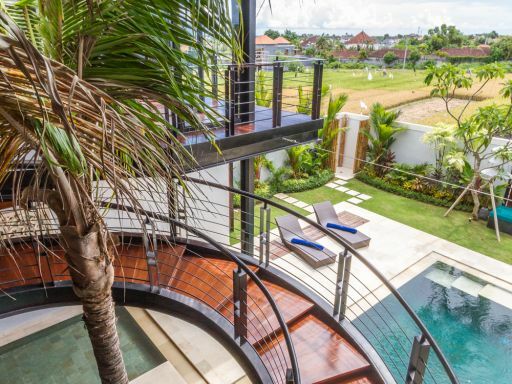 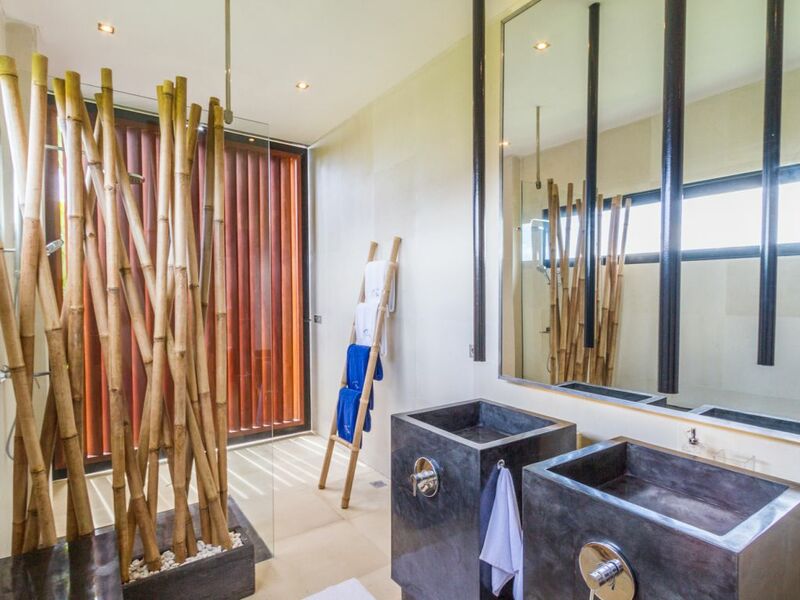 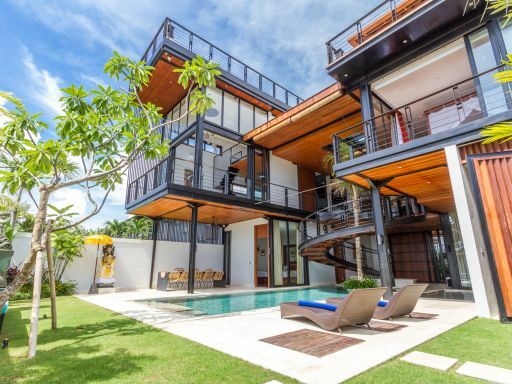 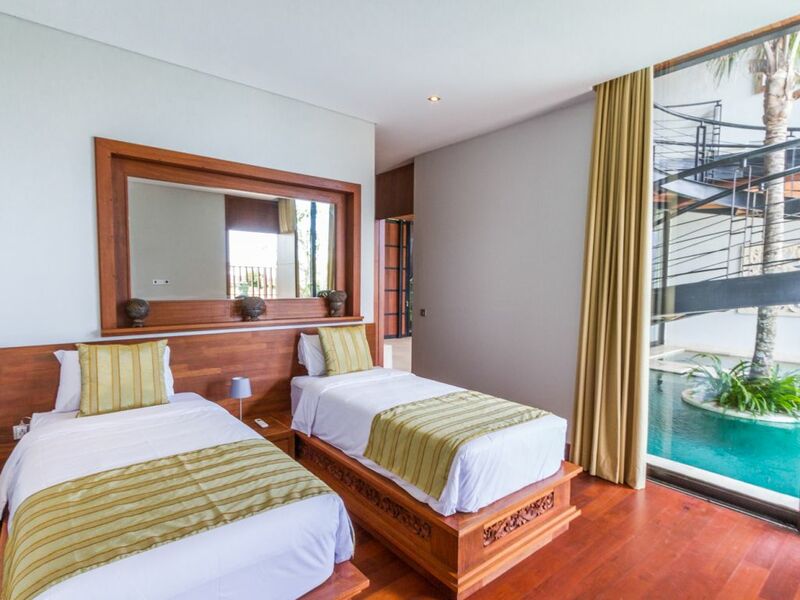 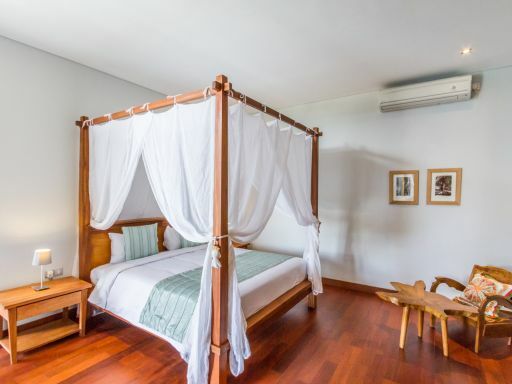 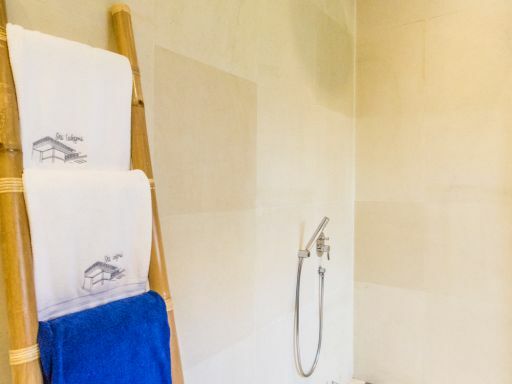 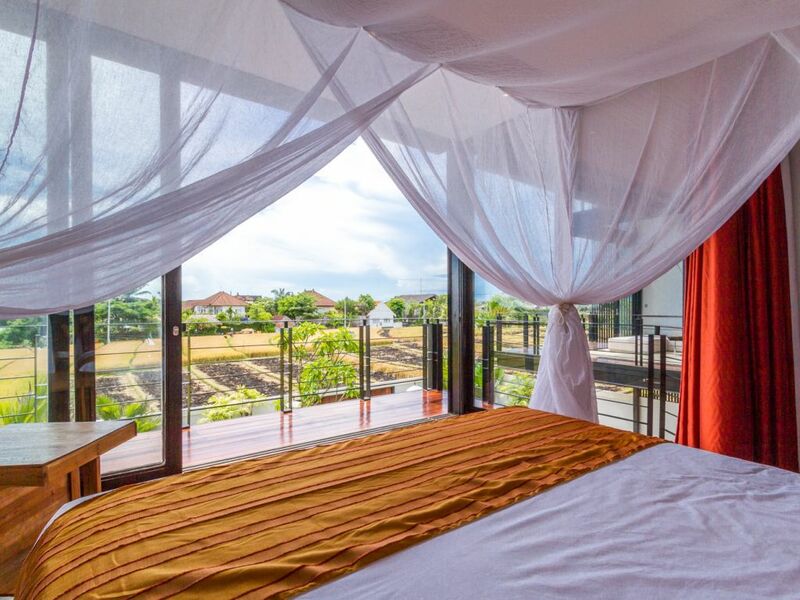 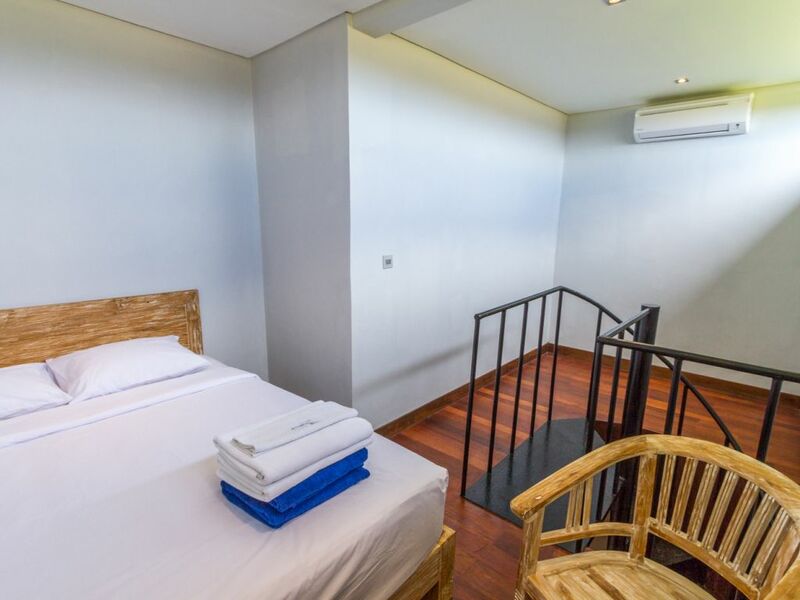 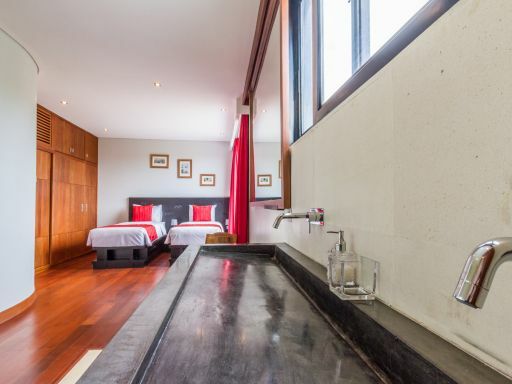 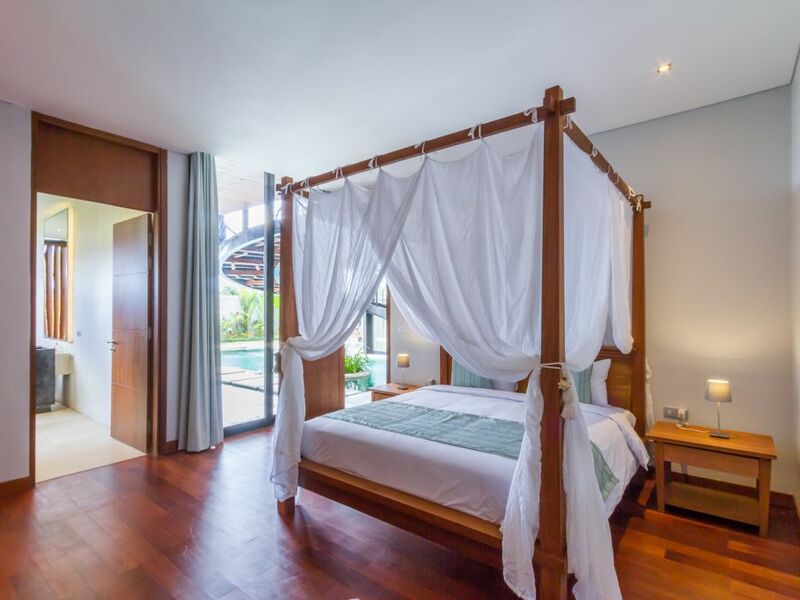 On the second floor there is the master bedroom with en-suite bathroom, large designer dressing suite and balcony with views of rice-fields and the blue ocean. 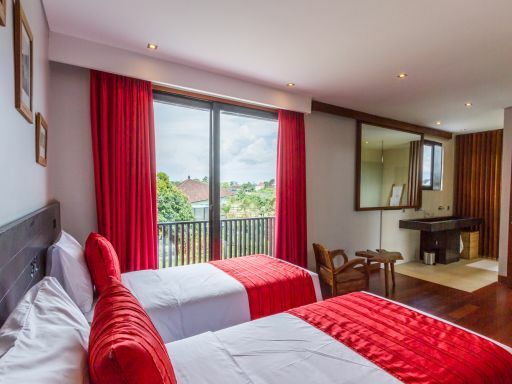 Another large room with en-suite bathroom and a kitchen fully equipped with all modern appliances which is adjacent to the living room with open view balcony. On the third floor the mezzanine can be used as a cinema room or relaxation area. 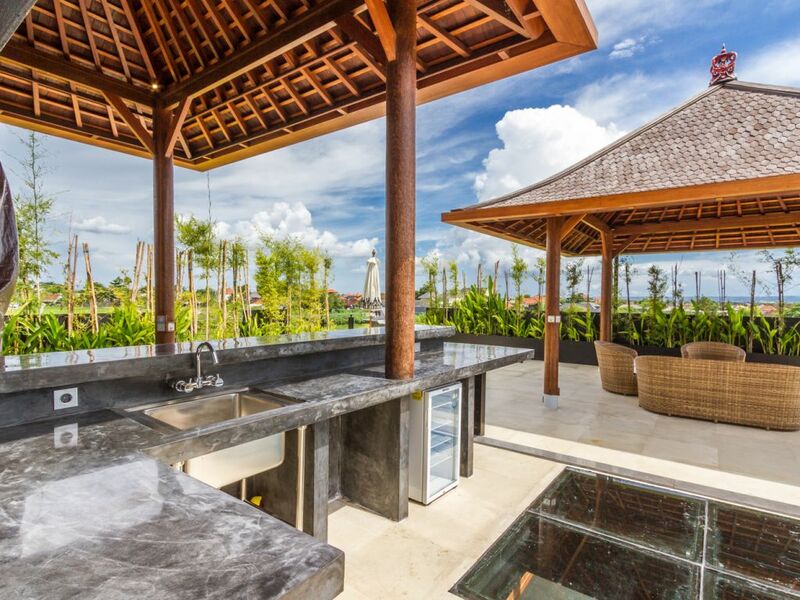 From this level you have access to the incredible terrace, with a unique top design tempered glass floor square. 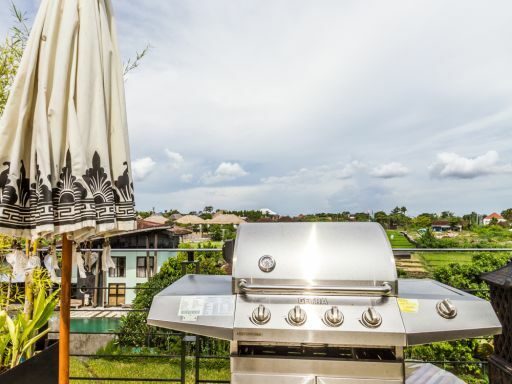 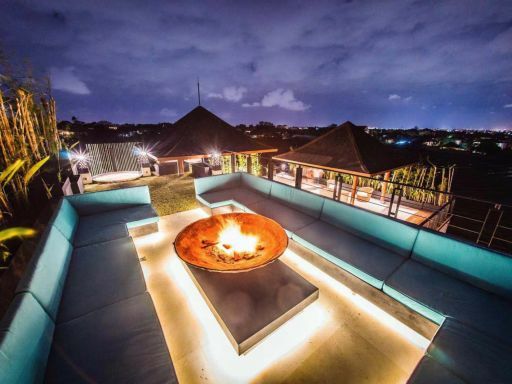 Full of space this first part of the rooftop with a giant bar made in polish concrete and an exterior gazebo used as an outdoor dining area is perfect to enjoy the Australian barbecue with family or with friends facing sunset on rice-fields and ocean. 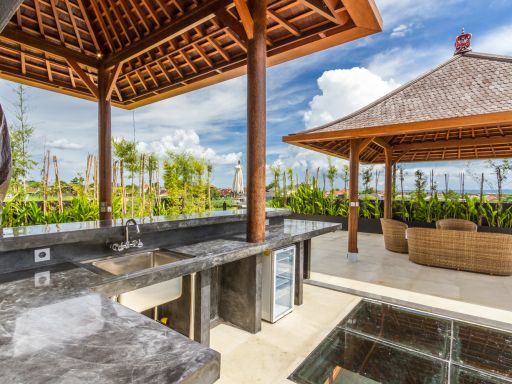 I'm interested in this property (Villa Umalas Luxury Rooftop Ocean View ) and would like to know more, please contact me.